If you find yourself charged with a property crime offense, Jason Wilson can assist you in these matters. His job is to make sure your privileges are secured, and to present the flaws in any proof the government bodies maintain to have against people charged of property crime offense. Aggressive research by your lawyer can make all the difference in whether charges against you are dropped, decreased, or tried before a jury. Having a knowledgeable defense lawyer to deal with you from the beginning, will significantly increase your possibilities of reducing the effect of charges on your permanent record. Regardless of the proof the authorities claim to have, don’t say anything until you contact a defense attorney. 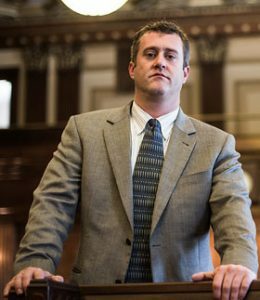 Jason Wilson will make sure your privileges are secured while starting the procedure of making a case for you. Sometimes, it is best to settle or make a deal with prosecutors. Other times, a trial by jury may offer you the most desired result. Whatever scenario you find yourself in, Jason Wilson is an efficient negotiator and a competitive litigator. Consultations for property crimes are free.